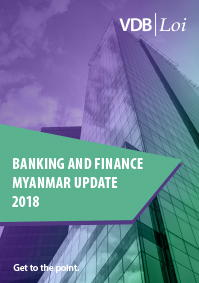 The Myanmar insurance landscape very recently opened up to foreign life and non-life insurers to form joint ventures with local life insurers (up to 11 Joint Ventures) and non-life insurers (up to 8 Joint Ventures) respectively – not to mention, up to 3 foreign life insurers will also be licensed to go-it-alone. The Financial Regulatory Department has released a Request for Proposal for the latter and invitation letters for Expression of Interest for each of life and non-life insurance Joint Ventures. As local and foreign insurers alike size each other up to find a suitable mate, there are a few things you need to know. How to structure the Joint Venture Agreement? What does a tailor-made agreement look like? What are the key terms to look out for and how to navigate them? What goes into and along with an Request for Proposal / Expression of Interest? How to draft the ideal proposal? Which factors increase the chances of success with the regulators? All these and more areas of interest will be covered in this timely workshop, featuring some of the biggest names in the industry. Be it a casual observer or an industry insider, there is something for everyone. When it comes to insurance, VDB Loi and EY have you covered. Which joint ventures will the government allow in the insurance sector? How to create a Business Plan that the FRD wants to see. Any specifics, such as length of Proposal, to be kept in mind? “A certified true copy of the foreign insurer license” (Section 7.8.3 of the Request for Proposal) – will a print-out certified by the insurance authority be sufficient? “Proposed areas of operation” (Section 7.9.1.14 of the Request for Proposal) – which areas to prioritise? Any restrictions on future expansion? “Proposed product offering” (Section 7.9.1.15 (a)(i) of the Request for Proposal) – which regulatory framework should the proposed product design and development be based on? When are you required to capitalize? What should be the conditions precedent? How detailed should the Business Plan be? Attendance at this workshop is free for VDB Loi and EY clients. 30,000 kyats will be charged at the event to non-clients/members. Seats are limited and confirmation will be given on a first-come, first-served basis. To reserve your place, please click “Register” button under Event Details or contact Thiha Zaw at thiha.zaw@vdb-loi.com or +951 925 3752~756, +95 9 773 788 813.